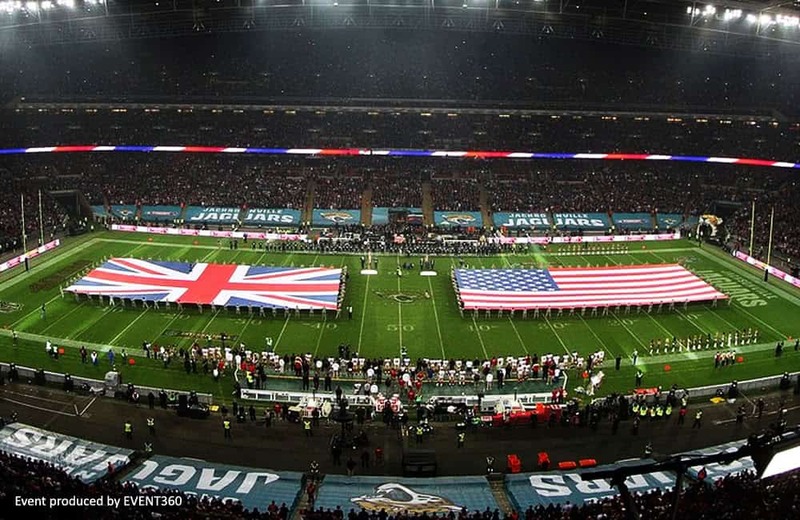 Working with event production agencies, we print and manufacture stadium graphics, or field of play branding, for many high-profile sporting events across the world. 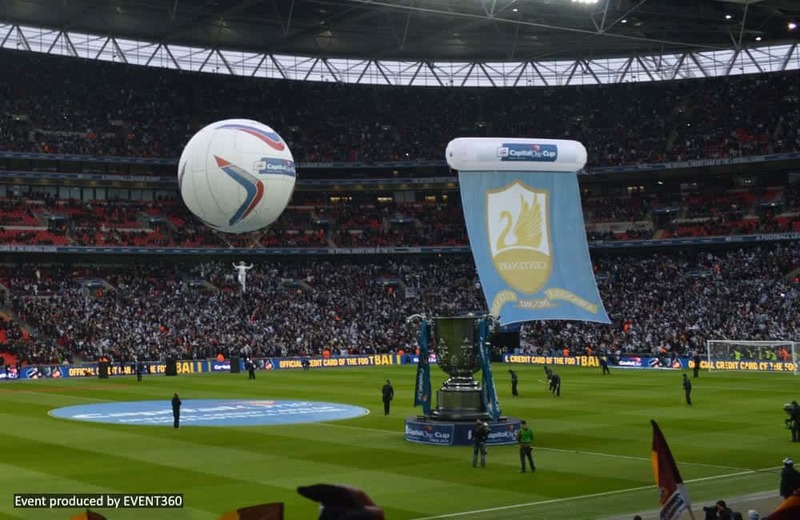 Giant pitch banners can be made to any shape or size, including centre circle banners and giant replica shirts. Talk to us about your event ideas, we’ve been involved in many innovative bespoke solutions for pitch branding. We produce custom printed full colour giant pitch and crowd banners in any shape and size to suit your requirement and match brand colours. Large pitch banners and vertical banners are often used to show country flags, team badges and crests or to assist with engaging brand messages with fans and a wider TV audience and create great photo opportunities. When not on the pitch, they can also serve as branded seat covers when the whole stadium isn’t in use or to take your brand out to community events. Our crowd surf and giant pitch banners have become an integral part of fan displays inside the stadium. 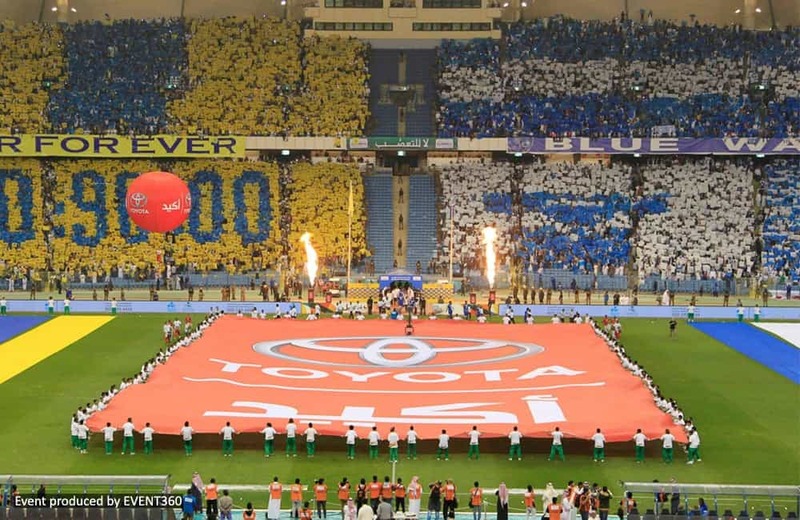 They play a key role in enhancing the atmosphere and engaging with the fans. These high impact banners are also a great way to promote a country, club or brand message on camera and, with additional sewn-in grab handles, can become ideal stadium seat cover banners. Speak to us about perimeter branding for heras fences and crowd control barriers too! Centre circle and vertical pitch banners are a great way to get brands or messages on camera at high profile matches and really add to the sense of occasion. An ideal method to engage supporters with brands or marketing messages, they are dye sublimation printed onto our fire-rated flag material, are lightweight with grab handles all round and come in a wheeled holdall. We print on a range of fabrics with different finishing capabilities, including Velcro, allowing graphics to be attached to structures and inflatable shapes.